Boat to Lembongan Island is the best choice. About the tourist attractions that are natural and beautiful, Bali has indeed become the champion. There are a wide variety of tourism options if You vacation to the Island, ranging from beautiful beaches, majestic waterfalls, to the expanse of green rice fields, calm the mind everything there is on the Island of Bali. But Bali is not merely about the Kuta and Sanur. Nusa Lembongan is also one of the paradise that You must visit when on holiday to Bali. Island located in the Badung strait southeast of this has a beauty that is not inferior to other tourist in Bali. To get to Nusa Lembongan You have to wade first through the Port of Benoa or Sanur Beach with a ride on the ship. Here’s a selection of ships that You can choose. This kind of ship is suitable for You who like luxury, because this kind of ship is the most luxurious ships that cross over to Nusa Lembongan through the Port of Benoa. This ship is also become the sea transport the most convenient and size is quite large. There are two options of ships that provide services for the crossings, Bounty cruises and Bali Hai Cruise with tour packages offered are quite diverse. You will depart through the Port of Benoa to Nusa Lembongan with the transit on the pontoon first. The price that You must pay to ride two cruise ships this is 925.000 for adults and 462.500 to the children. The Fast Cruiser is a fast ship with 6 engines at the rear of the ship. The Fast cruiser is the perfect boat the most in demand by foreign tourists, because in addition to fast, these ships also depart four times in a day. The time of his departure from the hours of 10.00, 12.00, 14.00 and 17.30. Scoot Fast Cruiser and Rocky Fast Cruiser are two reputable companies that provide ships for this route. To be able to ride this ship You have to spend 300,000 for a one-way, while for the PP cost of 500,000. available also a pick-up service for guests staying in Kuta, Legian, Seminyak, and Nusa dua. If You low cost then You should use a traditional boat. Boats used are fishing boats large-sized with a few modifications that can transport many people with three engines as. The price offered is quite cheap that is the 100.00 one way with a journey time of 90 minutes. You can take a traditional boat from the end of the Hang Tuah in Sanur Beach. The ship departs at 10: 30 am to Nusa Lembongan and 08.00 for the opposite route. If compared with traditional boat motorized, speed boat/fast boat much more comfortable and quick. Because the design of this ship is intended to carry passengers with time-efficient. 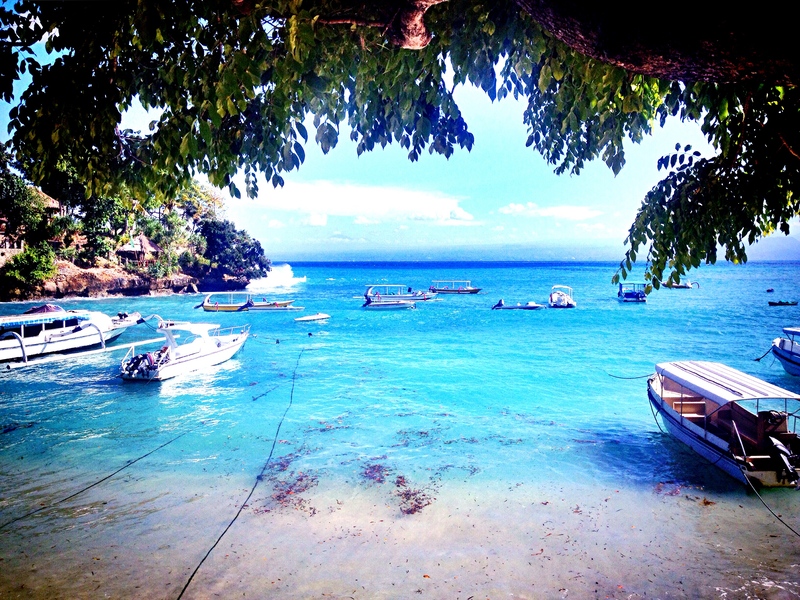 You just need to travel Nusa Lembongan is a 35-minute from Sanur with a cost of 175,000. The schedule of his departure 4 times a day with many choices of ships available. with the water clear and blue plus the beautiful underwater panorama, make Nusa Lembongan is very suitable for snorkeling and diving. Use a boat to nusa lembongan with ticketfastboat. With the diverse beauty of Nusa Lembongan is a place You must visit when holidaying in Bali especially for You environment with a calm atmosphere. Before a vacation to Nusa Lembongan select the first ship that fits your needs and Your budget.